Landford Stone updating the industry on the current situation in regard to the Indian Granite from the Kashmir region. The wholesale prices of the following slabs are being affected by the quarry shutdown in the Kashmir area (Kashmir Gold, Ivory Brown, Ivory Fantasy, Kashmir White). Supplies are now very restricted and prices are increasing rapidly. Please check with our sales department to get an up to date quotation on these materials. We have obtained a block of Kashmir which we have in stock at a reasonable price. We’ve just taken delivery of two blocks of Black Cosmic the black and white version and the black white and gold version. Early viewing recommend for these truly beautiful slabs. 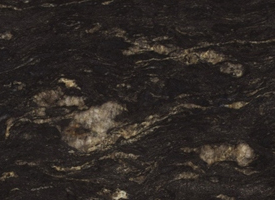 Angola Moon Landfords select range best seller is now available in a finish called Carreza, please ask for a sample. 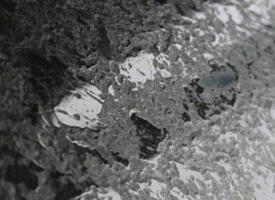 Steel Grey is also available in Carreza, please ask for a sample. 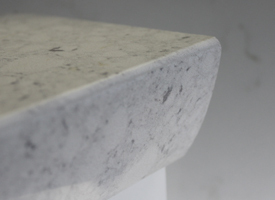 Ellipsia brand new edge detail. Tactile and different samples available. Officials of the Commercial Taxes Department have unearthed as many as 15 fictitious granite export firms, all of them having registered offices bearing the same address in K K Nagar in Madurai. The companies were presumably floated by some multi-billionaire granite licensees to evade Tax as well as to legitimise the export of granite that was quarried illegally. 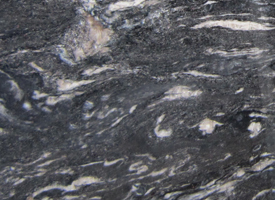 “Kashmir white granite stones that were illegally quarried by private licensees from mines of Tamil Nadu Minerals Limited were being exported by these fictitious firms,” a source in the Tax Department said.“On paper, these mines were located in Keelavalavu Pokkishamalai, Rengasamypuram Sarkarai Prabanmalai and Purakkudumalai villages. While being registered with our department the firms had furnished addresses in Pannianmalai, Vathipatti, Valayappatti and Naduvanur villages in Dindigul. However, our investigations revealed that all these were sham,” said an official. The fraud was exposed when Commercial Taxes Department went in search of the ‘proprietors’. “A subsequent audit revealed that no such quarrying companies existed in Dindigul district. The so-called proprietors turned out to be poor farmers who were staying at the addresses mentioned by the fictitious firms,” he said. Closer scrutiny revealed that headquarters of the firms was in K K Nagar and bank accounts in nationalised banks in Madurai.